Arya Body Chain (Silver) RARE – Kibitz IW This is a preview for the Fantasy Gacha Carnival, opening on November 7th at midnight SLT. Click here to visit the event website. Teleport to the event. Ricana Lipstick – Zibska IW / MP Available until November 23rd at The Makeover Room. Click here to teleport to event. Moon Warrior Staff RARE – Luas IW This is a preview for the Fantasy Gacha Carnival, opening on November 7th at midnight SLT. Click here to visit the event website. Teleport to the event. Ate skirt – Hell – RARE – !gO! 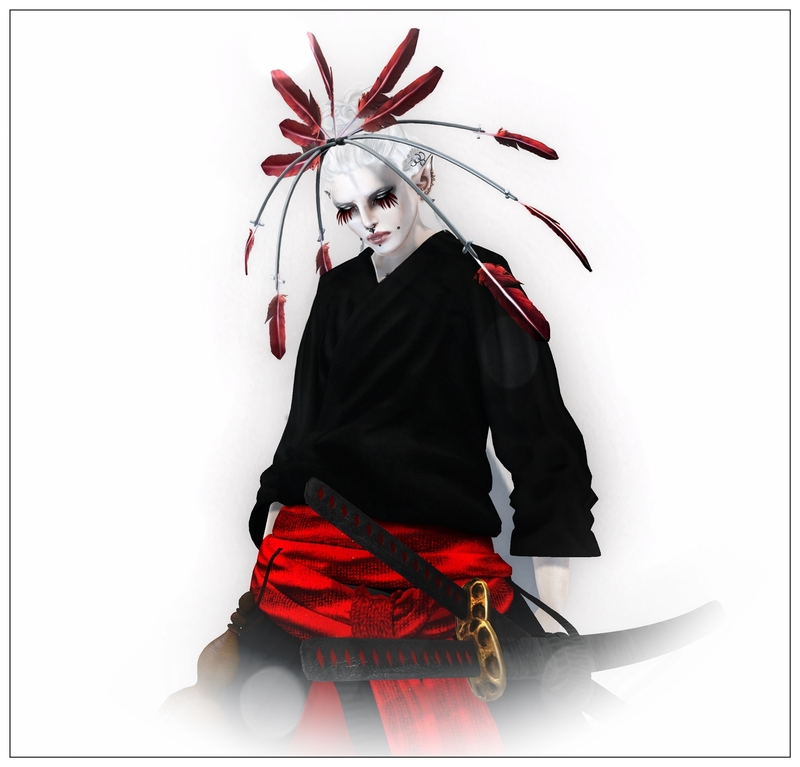 IW This is a preview for the Fantasy Gacha Carnival, opening on November 7th at midnight SLT. Click here to visit the event website. Teleport to the event. 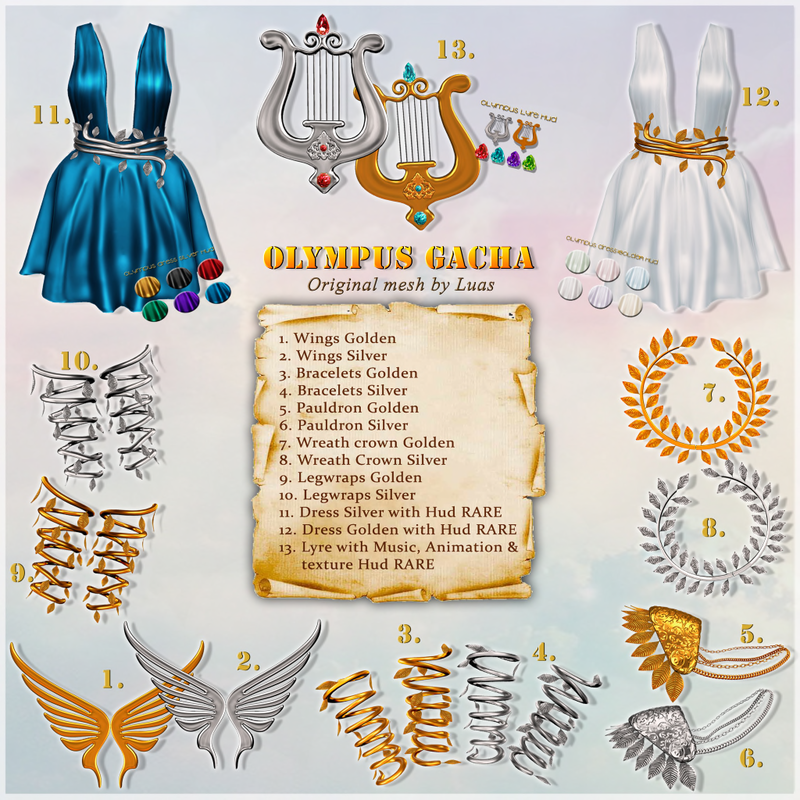 Olympus Wreath (Silver) – Luas IW This is a preview for the Fantasy Gacha Carnival, opening on November 7th at midnight SLT. Click here to visit the event website. Teleport to event. 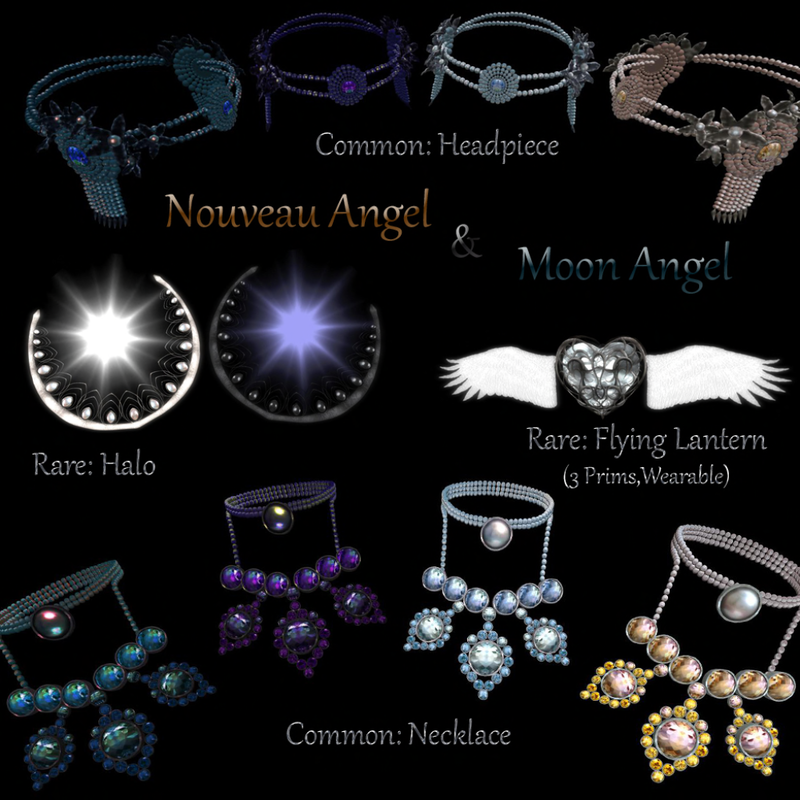 Nouveau Angel Halo (RARE) – Zyn IW This is a preview for the Fantasy Gacha Carnival, opening on November 7th at midnight SLT. Click here to visit the event website. Teleport to event. Heavenly Lantern Staff – Moon Mist (RARE) – Zyn IW This is a preview for the Fantasy Gacha Carnival, opening on November 7th at midnight SLT. Click here to visit the event website. Teleport to event. Shara Elf of Luna Arm guard – Silver (Common) – *Cila* IW This is a preview for the Fantasy Gacha Carnival, opening on November 7th at midnight SLT. Click here to visit the event website. Teleport to event. Wendigo Horns (Seed of Inspiration) – Cerberus Xing IW / MP This is an item preview for the upcoming round of Gacha Garden, opening on November 1st. Click here to visit the website and learn more about this event. The Broken Tree Animated Scene – Autumn – Stormwood MP Currently available at The Seasons Story. Click here to visit the website for this event. Teleport to event. Heretic Talons (Untainted) – Cerberus Xing IW / MP TAG! Gacha – The Haunted Mortuary, open as of October 17th at 12:00 a.m. SLT and running through October 31st 11:59 p.m. SLT. Click here to go pick up your TAG hud. Runyan // Silver // Headpiece // RARE – .Charm. (Previously Keystone) MP This is a preview for the Fantasy Gacha Carnival, opening on November 7th at midnight SLT. Click here to visit the event website. Teleport to event. Seraphim Halo RARE (Choir of Angels Gacha Set) – ~*Souzou Eien*~ IW / MP This is a preview for the Fantasy Gacha Carnival, opening on November 7th at midnight SLT. Click here to visit the event website. Teleport to event.